Additional Info: Secure lovely pretty garden over looking the Mountain with outside eating ,and sun parasol. Extremely well equipped kitchen with everything that you could possibly need ample pots & pans. Free Wi-Fi Flat screen TV with free view & DVD player. Hairdryer, Fan, Radio. All beds are made upon arrival with fresh linen, Tea Towels 2nd Fridge Freezer in Kitchen Launderette on site I-Pod docking station BBQ. PLEASE READ MY REVIEWS THEY ARE OUTSTANDING. 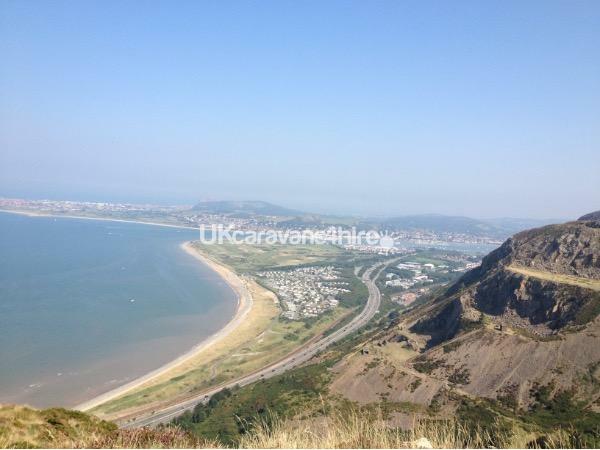 The caravan is situated on the Bryn Morfa site at the foot of Conway mountain with direct views of the Mountain. It is only a ten minute walk from Conway town and 5 minutes walk to the Beach and the Marina. The Beach is amazing and very safe with direct access from the car park .The Marina is definitely worth a visit, the newly refurbished Mulberry pub has great food outside seating over looking the Marina, and there is a little Grocery shop next door There is a Bar/ Restaurant on site at Bryn Morfa which serves food and drinks and also a traditional pub opposite which also has a reputation for good food and real ales. There is a bus stop outside the site, the buses travel along the coast in both directions. Llandudno Junction and Conway railway stations are no more than 10 minutes in a taxi. So much to see and do in the area, great base to explore the Area. There are an abundance of pubs, cafes and restaurants and shopping in Llandudno town, Conway and Colwyn Bay and Deganwy. This is an excellent area for walking & cycle paths, Snowdonia National Park are also on the doorstep. Bangor & Anglesey are also very close by just off the A55, there is also a cycle route which runs along the coast and is fairly flat. Also close by lots of places to fish, great bird watching at the RSPB in Conwy and the newly opened Surf Snowdonia. The Great Orme is definitely worth a visit in Llandudno, you can take the tram or the Cable Car to the top or drive up its really worth a visit. The Welsh Mountain Zoo is also close by, and not to be missed is Betws-Y-Coed. If you are into golfing there are lots of courses close to Bryn Morfa. There is also a very good taxi service available locally. Bryn Morfa is a fantastic base to see everything in the area and perfect for a family holiday or a relaxing short break. A £50.00 refundable security deposit/ cleaning is required and will be refunded after departure. 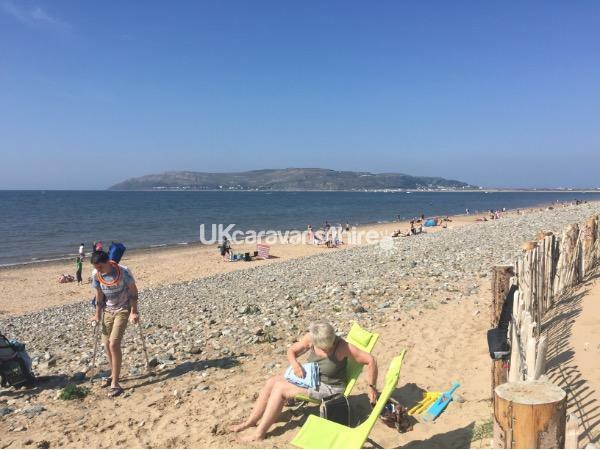 Just had a weeks holiday with my husband really enjoyed it the caravan is in an ideal spot for us to catch the bus into Llandudno and Conway and to have a stroll to the beach. The caravan itself is lovely and clean and had everything that we needed and more can't wait for our next trip in August. Sallie was very helpful with everything from start to finish. The caravan is very beautiful inside with everything you need and the kitchen is very well equipped with us needing for nothing. Its situated in a very well kept park with a beautiful view looking out to the mountain.sallie was always quick to reply and very helpful on places to eat a d drink. We had a wonderful stay and will surely return in the near future. 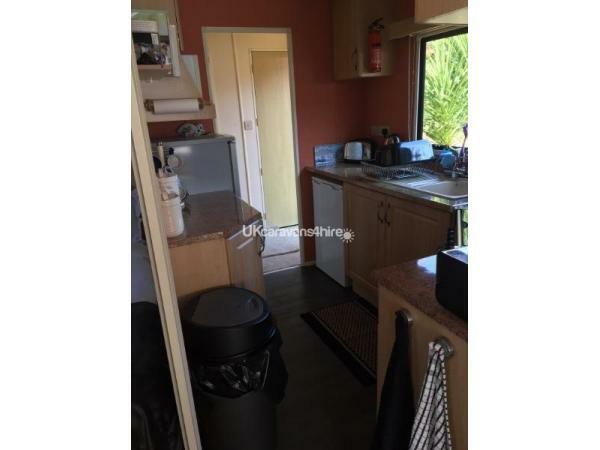 Sallies caravan is beautifully presented, clean with well equipped kitchen,no need to take your own scissors, sharp knife good frying pan etc. they are all there. Had lovely bedding and pillows with comfortable bed. A roomy caravan. We have spent many holidays on Bryn Morfa site and are still going back in old age. Sallie's caravan is always very clean and very well equipped. Linen is provided which makes things easy. I've stayed in this caravan several times now over a number of years. I will be rebooking next year. Chose this site to be close to Conwy , and it was perfect for our needs. The caravan itself is very comfortable and well equipped - particularly in the kitchen, we found everything we needed to make bread and Chelsea buns during our stay! A couple of friends joined us for a night and Sallie was more than happy to make sure that all the beds were made up in advance. Being able to walk into Conwy within 10 mins was great , all in all we had a wonderful stay and didn't need to use the car once - always a bonus!! Just enjoyed 4 days in this caravan which was very well equipped and spotlessly clean. The location was ideal for access to Conway and the surrounding area and the site was quiet and relaxed with good local transport. Excellent communication with Sallie the owner and would recommend a stay here. We have just had a lovely week in Sallie's caravan. 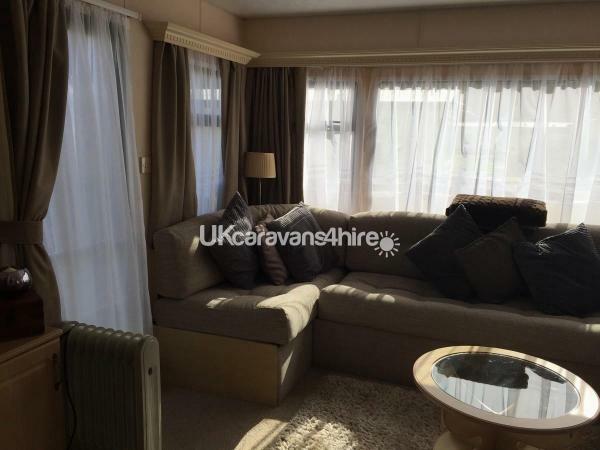 The caravan was spotless clean, very well equipped, (everything you need) and very comfortable and maintained. The site is within walking distance of Conwy and a beautiful beach where we spent many happy hours exploring both. Sallie is very efficient and we would definitely recommend her caravan. our 2nd year in the caravan and just as perfect as last time. Great holiday on a quiet site with a lovely atmosphere. Will be back again next year. Visited this caravan for a long weekend with 4 and 6 year old children. On arrival caravan was clean and beds were made. Lounge and dining area nice and spacious. Kitchen had everything you would need to eat in. The most beautiful beach within walking distance and nice pub. We all had a fabulous time and the weather was perfect. Great customer service from Sallie. We hope to stay again. CARAVAN WAS ON A NICE AND QUITE SITE,VERY WELL EQUIPPED KITCHEN WITH EVERYTHING YOU NEED,GREAT FAST SHOWER, ALL BEDS MADE UP FOR YOU ON ARRIVAL,WELL EQUIPPED TOILET AND BATHROOM SOAPS ETC..,GARDEN WITH PLENTY OF SEATING AND LARGE TABLE, IN SOUGHT AFTER AREA OF CONWY BY A LOCAL BEACH,LOCAL MARINA WITH PUB,WALKING DISTANCE TO THE CONWY TOWN. Sallie’s caravan is very clean and comfortable , it was also very well equipped with everything you need in the kitchen. Bed was very comfy. Also lots of information in the caravan for eating places and things of local interest. Had a great holiday and the weather was very hot, it was nice to have a pretty shaded garden to relax in the evening. Would definitely recommend this caravan. An extremely well equipped caravan on a lovely site. Everything you could possibly need and more!! Great location for buses and walking!! Loved it!! Thanks Sallie!! Absolutely fantastic week !! Could not fault anything about the caravan or the setting. It was spotless and had everything we needed. The beds were really comfy too???? Sallie,the owner was first class ,we were arriving late and she even got us some milk for our arrival !! We would definitely recommend this holiday and we will be back ???????? Excellent short stay. Caravan immaculate. Sallie very helpful. Site restaurant excellent quality fresh food. Pleasant atmosphere. Cannot fault this caravan or Sallie the owner. Caravan was clean, comfortable well furnitured and extremely well equipped. Garden area is beautiful with a lovely view, perfect for a quiet relaxing time. Site is located in a quiet area but close enough to Conwy and local ammenities. Bus stop is right outside the site. Sallie was extremely helpful and accommodating. Please book with confidence. Wish I was still there. Just spent week at this lovely comfortable well equipped caravan,very clean nice private garden beds already made up on arrival great ,would certainly recommend and book again. loved yet another stay at Brynn Morfa thankyou Sallie for making this possible even the weather stayed fine. A perfect holiday.The caravan was home from home with everything we could have possibly needed with a lovely garden to relax and chill. We will be back. The Caravan was very well equipped, with lots of homely features. It’s a great location for exploring North Wales, and is conveniently located close to the beach. Sally was quick to respond with genuinely nice service. 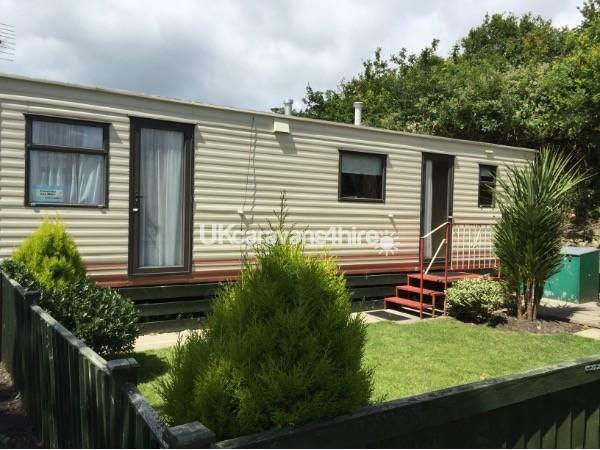 This caravan is lovely, very well equipped,with a nice secure garden area. Sallie was very helpful throughout. Highly recommended. Just had a fantastic 3 weeks in Sally's caravan, so cozy and comfortable. 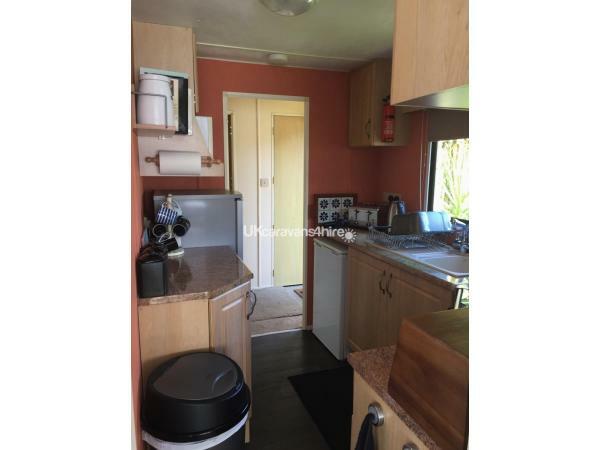 Everything you need is available and the kitchen is the best I've ever used in a caravan, and I have been to some big lodges, and none of them compare. The views are to die for, with a wonderful private garden. Sally is very responsive when messaging or called. I would most definitely without a doubt reccomend this caravan. Looking forward to going back again. Had a very enjoyable short break as the caravan was extremely well-equipped, clean and comfortable. The site is well maintained and there are beautiful views looking inland, to the moutain. The owner, Sallie, could not have been more helpful. The only reason for the, slightly, lower rating on the accommodation was because one of us slept in the twin bedroom where the beds are standard size but more suited for children. Otherwise, had all the comforts of home. We absolutely loved the caravan, it was a sunny weekend so thankfully we got to spend a lot of time in the Caravans private garden. This had a fence and gate so we could allow our young boys (3&1) to play outside. In the evening, time was spent eating nice food in the comfort of the caravans living room. It was a really special time here and my eldest boy just loved going round the site on his scooter. The caravan was very clean and had all you needed and more. Not all vans on the site have the luxury of the private garden, so we found this a real bonus to this one. 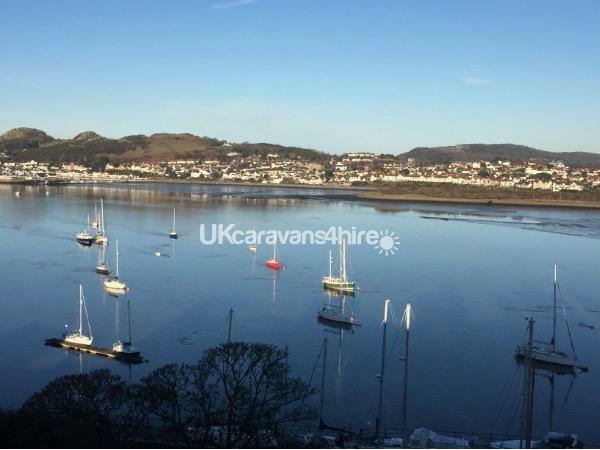 You can park up on arrival and not have to get in your car until you leave, Conwy is in walking distance as is a local beach and if you like walking the site is at the foot of Conwy Mountain. Many thanks for what was a great little holiday. We travelled to Conwy with our 3 Grandchildren for a week at Bryn Morfa, the site is perfectly placed for access to the dual carriageway, we found it a very quiet site with very little noise from the roads and occasionally you would hear the trains going past. 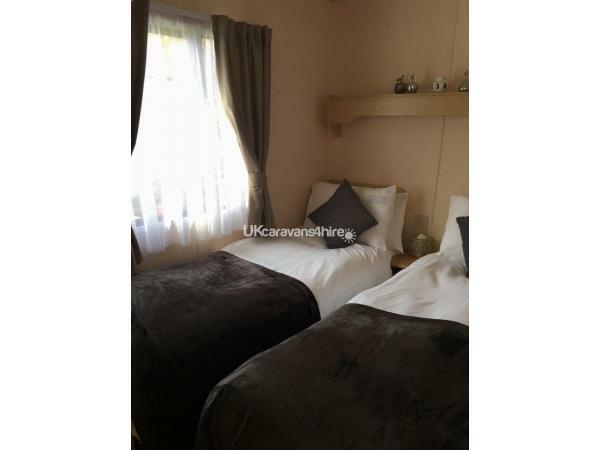 The caravan was very clean, the living room is very spacious and comfortable, the kitchen is extremely well equipped with everything you would need for cooking, it was very handy having separate toilet and shower rooms. The enclosed garden is good for small children with a good seating area. We wouldn't hesitate in booking Sallie's caravan again as it was very easy with good and quick replies from her. Thanks again Sallie for a wonderful weeks holiday. the caravan was absolutely spotless and very comfortable. The shower was excellent and everything you could want was provided even nice extras like quality hand soap teatowel new washing up stuff washing up liquid and quality quilts and pillows. Sallie is very efficient and informative giving great peace of mind. There are no hiccups it exceeds expectations. The living room is spacious and the lovely peaceful private site beats any commercial holiday park. We will book again. 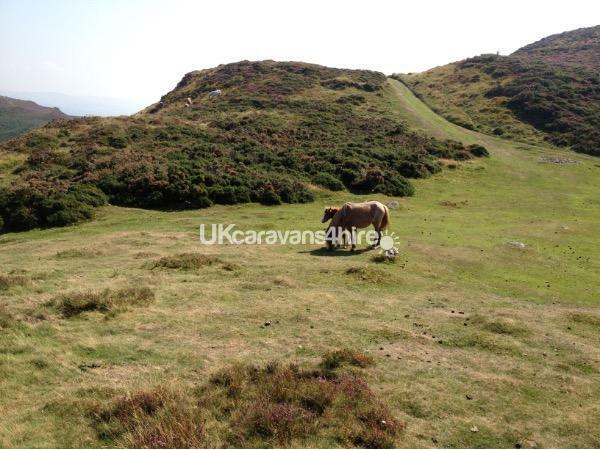 Lovely caravan in a perfect location - beautiful views, quiet and only 10 minutes walk into Conway. Ideal for families- so much to do nearby. Had a lovely week, Sallie was brilliant, very kind, friendly lady, couldn't ask for more and the best equipped caravan I've ever stayed in and keeper up well. Enjoyed our stay at Bryn Morfa Lovely caravan comfortable and clean,good value, parking could be a problem. 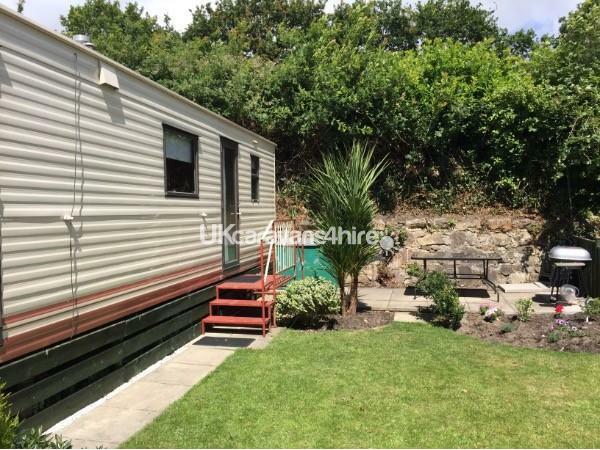 This is very clean and comfortable caravan, well maintained and extremely well equipped. This is our 4th year at the caravan and Sallie is always very helpful and keeps in contact, she is always ready to help if she can. The outdoor area is lovely with a small fully fenced garden and a patio area with tables, chairs and barbeque, where we like to sit after a days touring some of the lovely areas around and just a 10 minute walk from Conway town centre. Look forward to next year. Over 30 years of holidaying in the Conwy area this was probably our best ever. The caravan was very comfortable, well appointed and a good kitchen. Outside the garden is very pleasant but parking is a bit tricky. Wi fi was good once connected, gets difficult when park is more busy. During our stay the shower was not working properly, hopefully after our notification this was put right. All in all a very comfortable stay and would certainly return. Bryn Morfa is a gem! We had a lovely time at the caravan, I loved that it had a fenced garden for my two children aged 5 + 2 to play safely outside. The caravan was very clean and tidy, and well equipped with beautiful views outside. The site Bryn Morfa is a five minute drive from Conwy, and there is a marina and a beach close by. There was great communication from the owner Sallie, we would definetly book again. We have been visiting Bryn Morfa caravan park for many years and found this caravan one of the best we have stayed in. The caravan had everything you could possibly need, including panel heating as it was chilly of a night due to the time of year we stayed. Sallie was very helpful and kept in contact with us from when we made the booking, through our holiday and after we got home to check everything was alright. I would recommend booking this caravan. Well kept caravan, have used previously & would certainly use again. 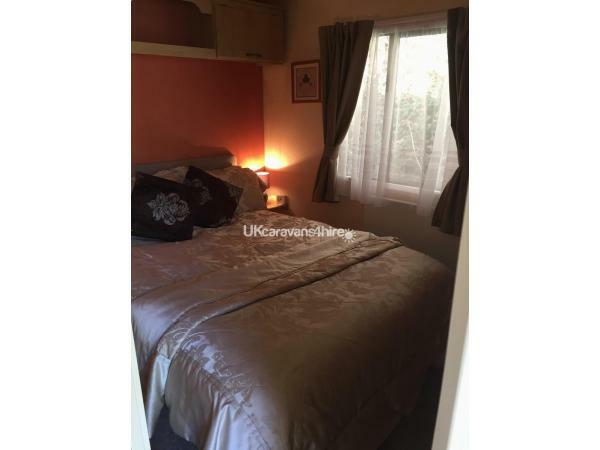 Caravan has all you need on a good site which is ideally situated for visiting N.Wales ,Anglesey & Snowdonia, & the owner Sallie is brilliant to deal with, I would highly recommend this to any interested party. 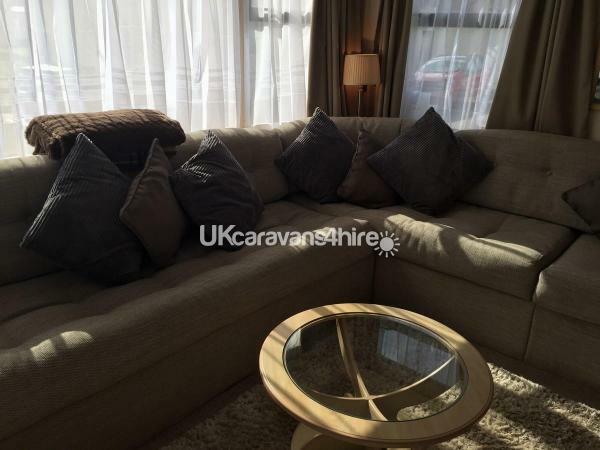 This is the best caravan me and my family have ever stayed in, it is spotlessly clean with everything you could possibly nead, and I mean everything! ! We have had the best holiday here, the garden the caravan is set in is so well maintained, its lovley of an evening to come back and have a barbecue their. We would highly recommend this caravan , the site and location to anyone and will be returning in the near future. A very comfortable caravan. We had everything we needed. The surroundings were very pleasant. Just spent a lovely week with 12 year old son at this fantastic caravan. Have never stayed in such a well-equipped caravan. Very clean, comfortable and excellent value for money. Sallie has been extremely efficient and responsive during booking process. Location of Bryn Morfa is brilliant - so many day trips within a 10 mile radius (Great Orme tram, Llandudno pier, RSPB nature reserve, Welsh Mountain Zoo, Marina, Conwy Valley Maze and not forgetting beautiful Conwy just a 10 mins stroll along the road). I would have no hesitation in recommending this caravan. We can't wait to book again for next year! We took our three grandkids and really enjoyed our stay in the caravan. Sallie was very helpful with the arrangements and the van was very comfortable. It was our 3rd stay in Sallies caravan and very enjoyable. Another lovely stay in this well equipped caravan. This is a very comfortable caravan. Sallie is very obliging concerning my children. Bryn Morfa is ideally situated for Conwy. Conwy is a great town to explore. I look forward to many more trips in this great caravan. The caravan had excellent facilities and well equiped kitchen,the owner was also very responsive and helpful definetly value for money.